In this blog post, we’ll look at the performance of SST data transfer using encryption. In my previous post, we reviewed SST data transfer in an unsecured environment. Now let’s take a closer look at a setup with encrypted network connections between the donor and joiner nodes. In this blog, we’ll look at evaluating the performance of an SST data transfer without encryption. Please join Percona’s Principal Technical Services Engineer Sveta Smirnova, and Senior Software Engineer George Lorch, MariaDB’s Query Optimizer Developer Sergei Petrunia and Facebook’s Database Engineer Yoshinori Matsunobu as they present MyRocks Troubleshooting on March 30, 2017 at 11:00 am PDT / 2:00 pm EDT (UTC-7). In this blog, I will provide answers to the Q & A for the Troubleshooting Issues with MySQL Character Sets webinar. What’s Next for SQL Databases? In this blog, I’ll go over my thoughts on what we can expect in the world of SQL databases. Percona announces the availability of Percona Toolkit 3.0.2 on March 27, 2017. Percona Toolkit is a collection of advanced command-line tools that perform a variety of MySQL and MongoDB server and system tasks too difficult or complex for DBAs to perform manually. Percona Toolkit, like all Percona software, is free and open source. The Percona Live Open Source Database Conference 2017 in Santa Clara, California is just around the corner: April 24-27, 2017. We’re busy getting things ready to make sure everybody gets the most out of their time there. As part of that, we have some news and a couple of outstanding offers for you! 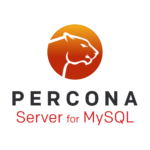 Percona announces the GA release of Percona Server for MySQL 5.7.17-12 on March 24, 2017. Download the latest version from the Percona web site or the Percona Software Repositories. You can also run Docker containers from the images in the Docker Hub repository. Percona announces the release of Percona Server 5.6.35-81.0 on March 24, 2017. Download the latest version from the Percona web site or the Percona Software Repositories. You can also run Docker containers from the images in the Docker Hub repository.